The first bow wave of the Beatles music reached Giora Feidman in 1964 while he was spending time in the USA. His intuition immediately told him, there was something very special about these boys, they would make it really big. How big, not even he could anticipate, of course, but „there was an incredible power in their music, and actually I‘ve been their fan from the very beginning.“ Giora Feidman at that point was 28, John Lennon 24 and Paul McCartney 22 years of age. The Jerusalem Duo from Israel - with Hila Ofek on harp and André Tsirlin on saxophone - will make the concert even more spectacular as ‘special guests’. 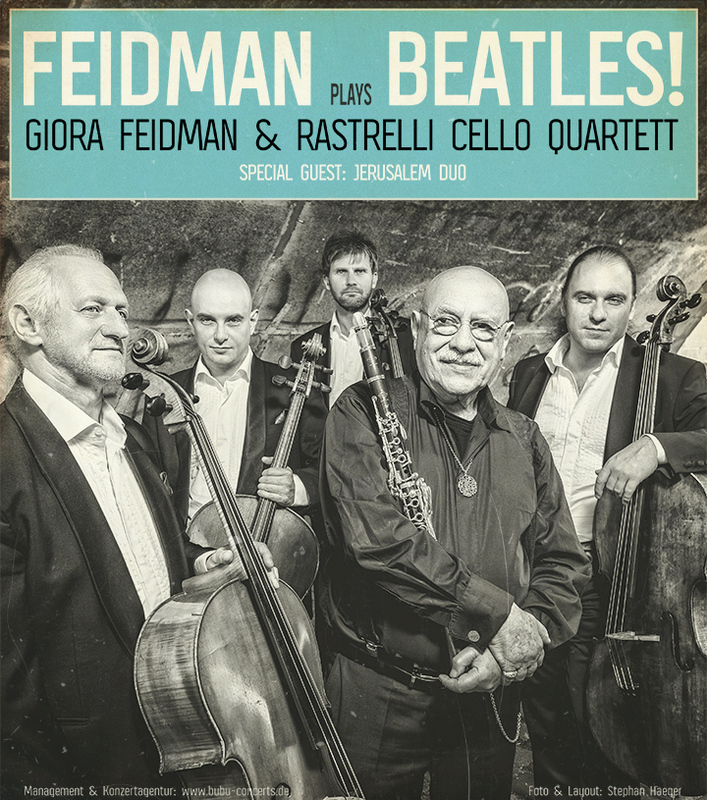 Look forward to an unusual evening of music, with Giora Feidman at his most timeless and intergenerational.